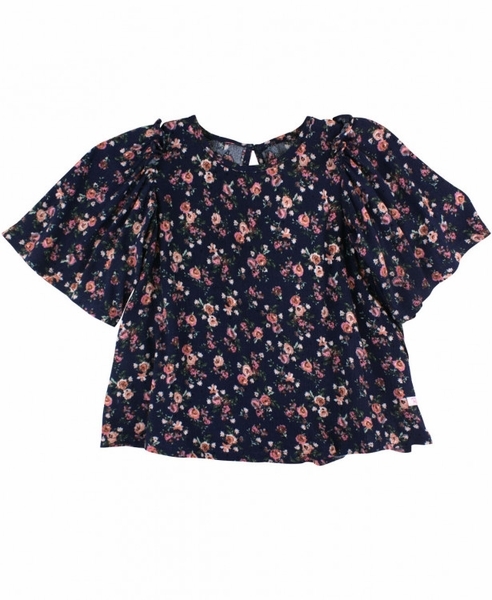 This cute and delicate floral top adds a bit of femininity yet is durable and perfect for everyday wear. The bell sleeves are half length and the back is keyhole with a tiny button. 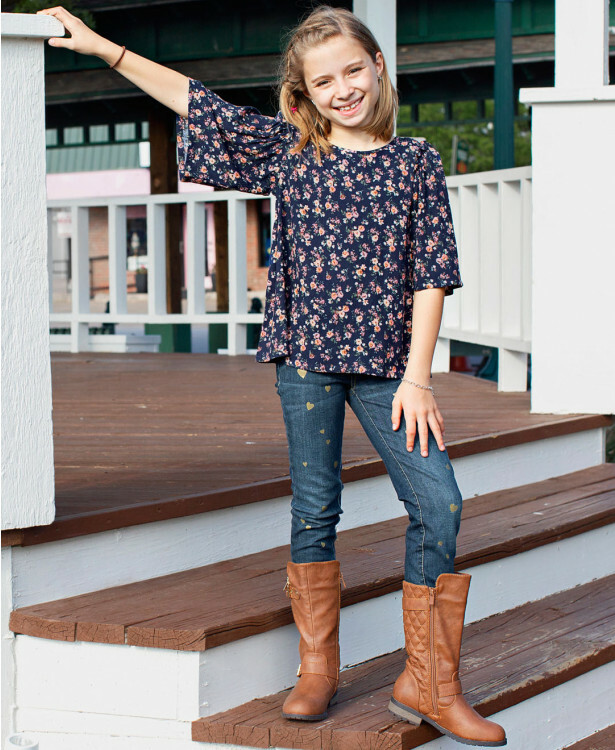 Pair with our jeggings for a complete outfit! Made of soft 100% rayon.